Saturday morning while drinking a cup of coffee, I had a sudden whim to visit the downtown LA library which is a destination point by its self. An invisible force drew me to the children’s section; in particular to a 1980’s book by John Lancaster titled Decorated Letters. The book itself was tattered and non-descript. Sitting at one of the tiny wooden tables on a tiny wooden chair, I leafed through the book. My eye was drawn to page in the back about drawing medieval decorated initials. The author suggested looking at the Book of Kells for examples. Later in the day, I searched on-line for the Book of Kells. My love for medieval art blossomed in full force. While reading about the book, I discovered there was an award winning movie made about the book called The Secret Book of Kells. I downloaded it instantly. 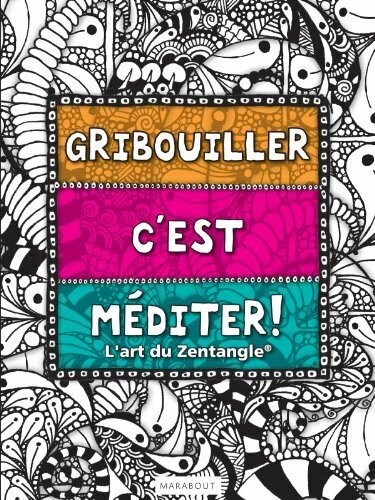 The movie is beautifully illustrated with the use of vivid colors and patterns that would make “tanglers” grin from ear to ear. 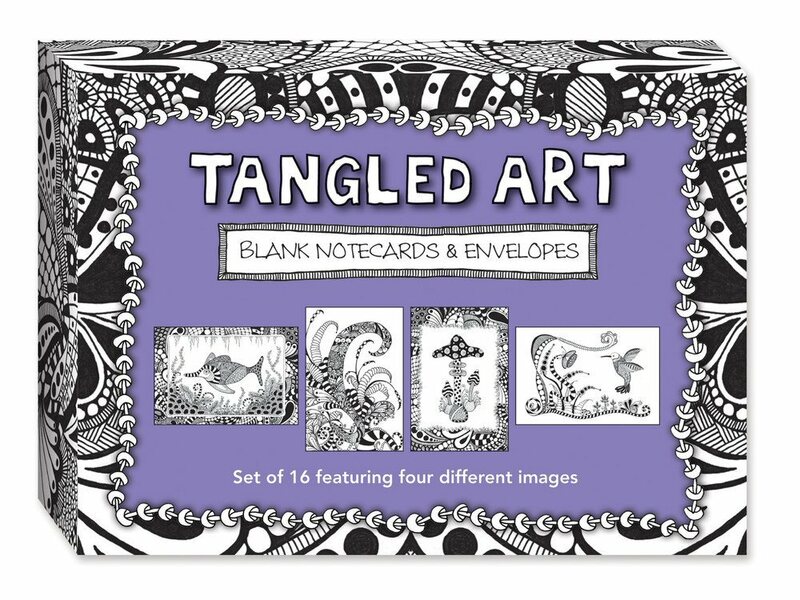 If you love Zentangle even a little bit, this is an amazing movie that will inspire you to pick up your pen and start drawing. 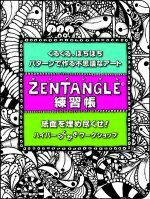 My co-authored book of The Art of Zentangle translated to Japanese arrived today. What a surreal moment. And here is my little guy looking confused as always especially since he doesn't read a word of Japanese. A quite weekend with time to draw. I drew this one many months ago and forgot about it until I was going through an old sketchbook. I draw on almost anything, but I love my sketchbooks. I have little one, big ones, homemade ones, favorite ones. 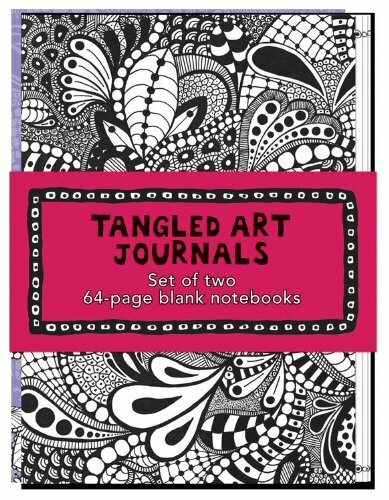 Right now my favorite sketch book is made by Picadilly. The paper has a smooth white surface and is heavy enough to not bleed ink. 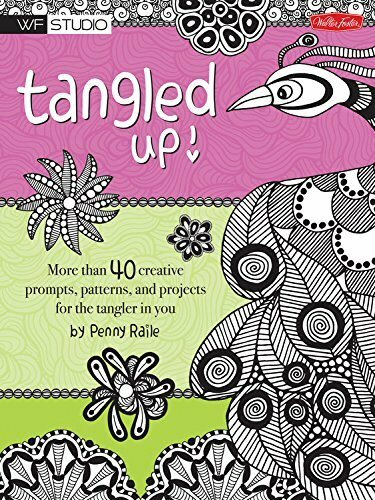 Tangly Thomas started out as something entirely different. I was drawing the "pine cone" looking thing and added a few things around it and suddenly I saw the making of a bird. The book I am working on is coming along nicely. 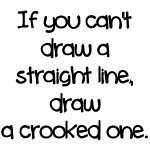 I feel I have drawn enough to fill four books, yet there is so much more to do. I believe I can say that I have passed the half way point. Here is a heart that is on the February page of the 2015 calendar (along with other hearts). This would be a great exercise to use with children, though I would imagine that adults could have fun with it also. Stems made with the Stackem pattern and the flowers with the Wormhole pattern. 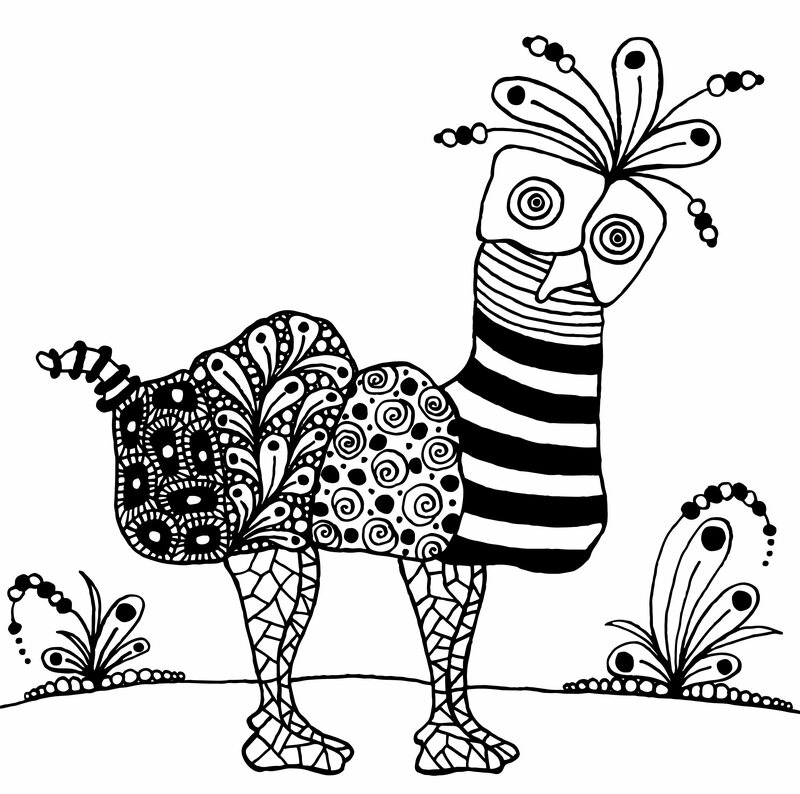 I was trying to draw a peacock for the book I am working on. I swear every one I drew looked like a duck. I think I finally got it right. 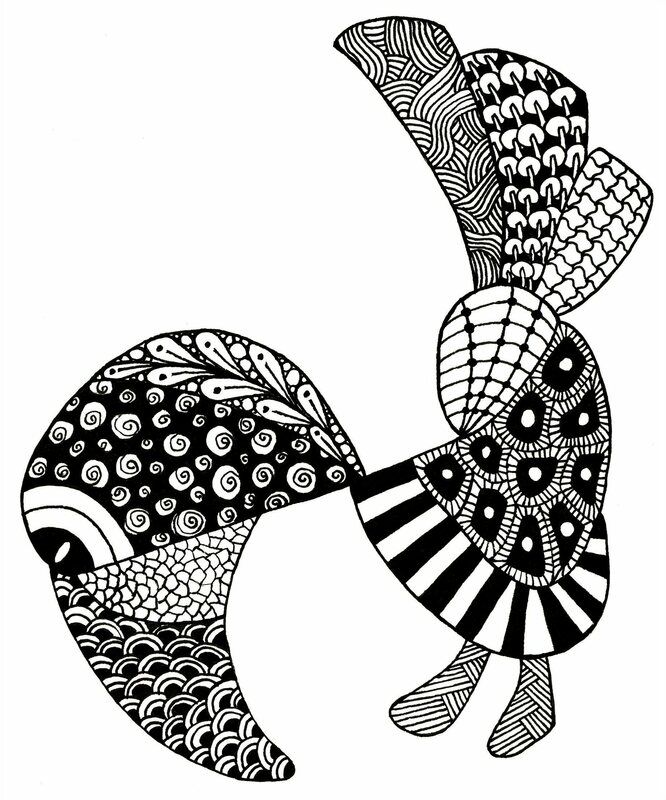 Today, I created a Facebook page for my Zentangle art work. I hope I am better at keeping current than I am with this blog. Visit and "Like" my page. At the moment, I am the only one following me.